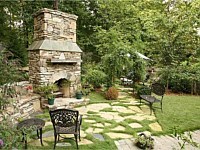 Many property owners like to get outdoor fire features such as fireplaces and fire pits installed in their homes. 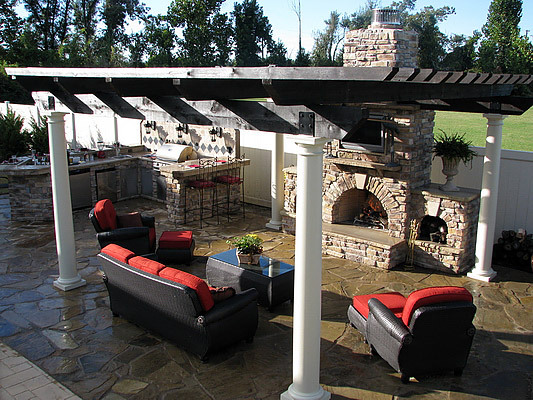 These elements add comfort and warmth to the outdoor areas and enhance their functionality as well. A fireplace is a great addition to any backyard and can be made of different types of stones and masonry. 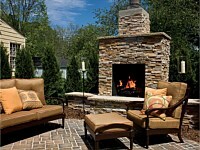 Today companies like Belgard manufacture unique and attractive fireplace kits and fire pits that are easy to install. 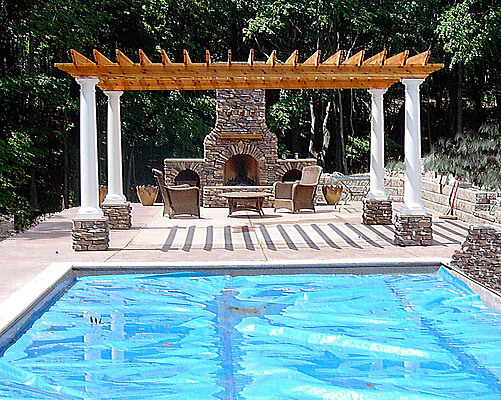 We at Riverside Stoneworks LLC have handled a large number of fireplace and fire pit installation projects across Chatsworth, Dalton, Ringgold, and Lafayette. 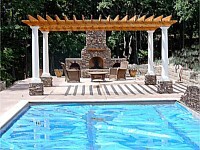 We also cater to property owners in Fairview, Calhoun, Chickamauga, and Trenton. Over the years, our company has built a very satisfied customer base in Eton, Tunnel Hill, and Summerville, and we have successfully completed projects in Trion, Chattanooga, East Ridge and the surrounding areas as well. 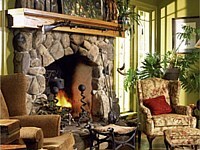 Quick and Easy Installation - A standard fireplace installation can be laborious and time-consuming. 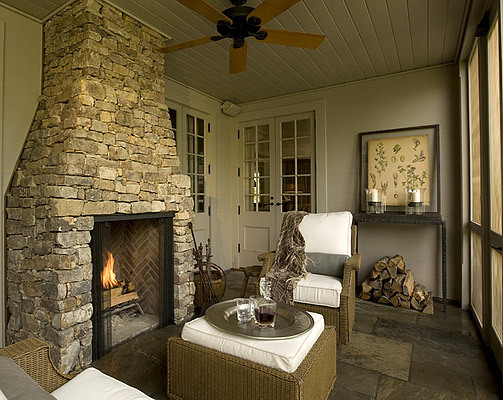 Many homeowners what to add a fireplace as part of an upgrade project and want something that can be installed quickly and without too much trouble. 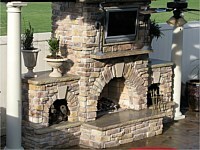 Modular fireplace kits can be installed easily and quickly to create the stunning look you want on your property. Variety - You can choose from a range of styles and designs and will find something to suit your preferences. 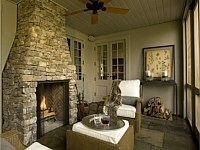 Some of these ready-to-install fireplaces have a very simplistic design while others are more elaborate in styling. 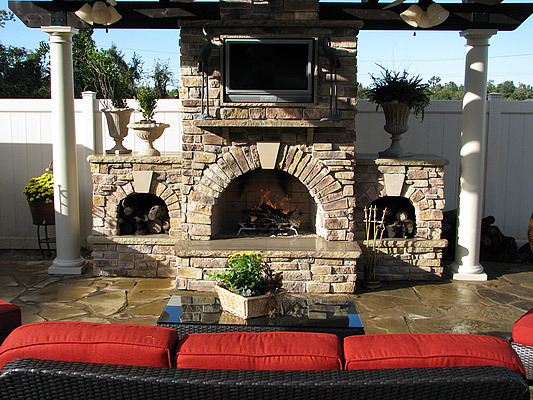 Cost-Effective - Since these are modular features, they become far more cost-effective than other stone fireplace installations. 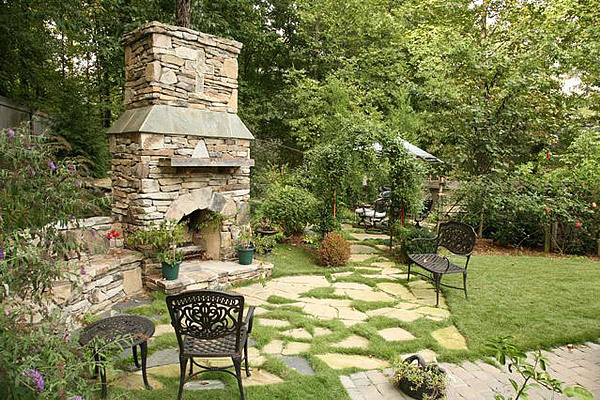 If you want a fire feature in your yard, but feel there isn’t sufficient space for a full-fledged fireplace, you can opt for a fire pit. This is more compact and has a much smaller footprint; it can be installed in your yard, on your patio or deck or been in an outdoor kitchen. We can design and install this feature to your specifications and can plan the surrounding seating space and other installations as well. You can choose from various natural stone fire pits or get one made of concrete. The surfaces of the latter can be clad with stone or brick veneer to enhance its appeal. 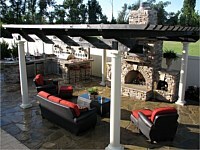 While we can custom design fire pits for you if you, we also have a stunning range of fire pit kits to choose from. 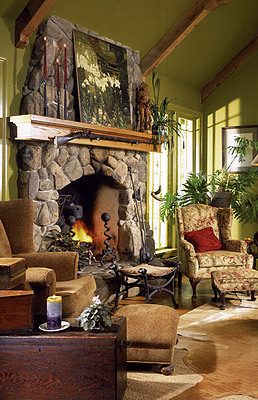 Just like the ready-to-install fireplaces, these features are quick and easy to install. 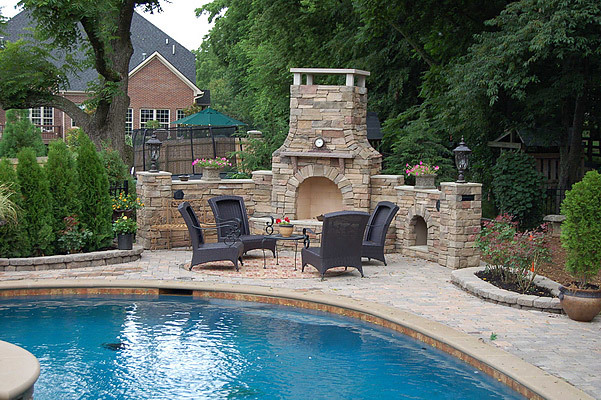 We provide excellent products and outstanding services, which ensures your fireplace and fire pit installations last for a very long time. When you want fire pits and fireplace kits’ installed on your property, you know you want the best materials and solutions, and that’s exactly what you get when you opt for our services. 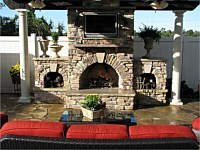 We have proven expertise in this field and provide excellent solutions at very reasonable outdoor fireplace cost. 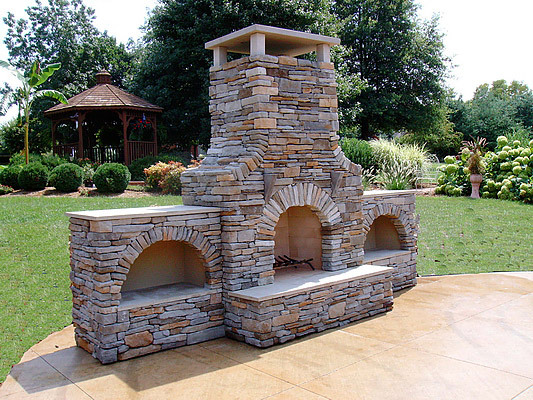 For any more information, feel free to contact Riverside Stoneworks LLC on 706-671-1833 or send us a message via this Contact Us form and we will revert shortly.